The statistic shows the number of successfully funded projects on the crowdfunding platform Kickstarter as of April 2, 2018. It shows the number of total successfully funded projects by funds raised. 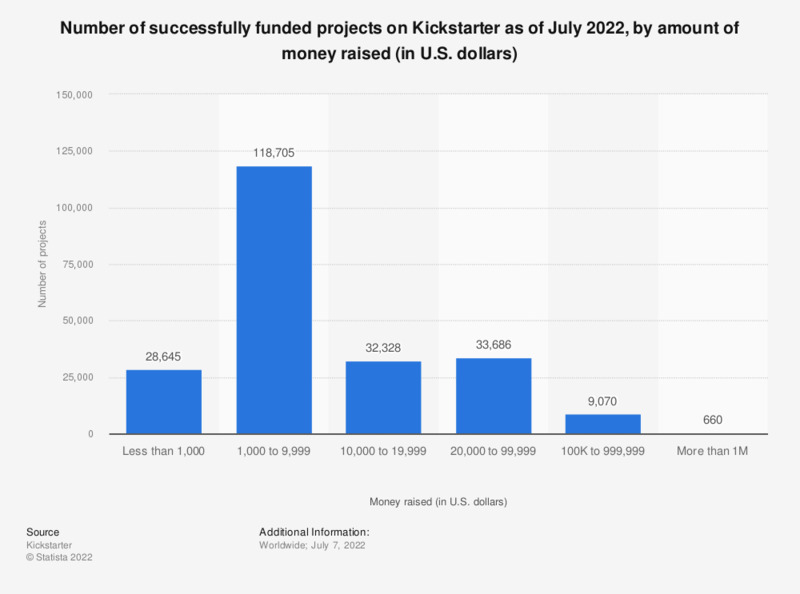 As of that time, the number of successfully funded projects at Kickstarter which raised more than one million U.S. dollars amounted to 343 projects. Project creators have to be permanent U.S. residents to be eligible to start a Kickstarter project but projects can be backed from outside the United States. For these metrics, pledges not made in US dollars are converted using the exchange rate in effect when the project was live.